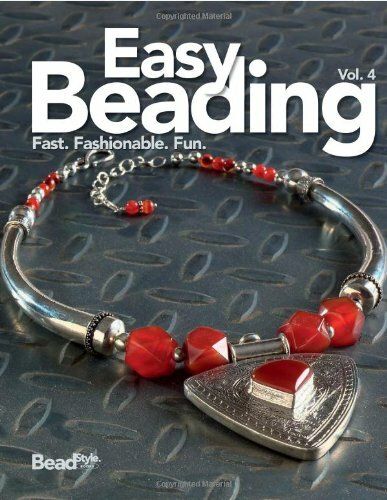 - Detailed basics section to start with - More than 90 fabulous projects - Clear instructions and step-by-step photos make it easy to get beading Bold, trendy, classic--"Easy Beading, Vol. 4" is packed with the fantastic designs, easy-to-learn techniques, step-by-step photos, and clear instructions that are the hallmark of this top beading magazine. More than 90 great jewelry projects, including fashionable necklaces, bracelets, and earrings have been gathered into this fourth annual volume. A detailed basics section gets readers started. Then it's on to projects that glow with gemstones, pearls, crystals, glass, metal beads, and chains. Finish any one in an afternoon or evening, then graciously accept the compliments!